IQ_ProcessPRO is the software product especialy designed for the communication intelligence (COMINT) purposes. During the operation very often an operator has no time for the deep signal analysis and processing. The best way not to lose an important part of information is to save an IQ stream for the delayed analysis. IQ_ProcessPRO is a very flexible instrument, which supports various standards of IQ files and many new standards are under consideration. Send us a request to clarify, if a standard you use is supported by the software. An imported file might be analyzed in the program directly or filtered and saved for the analysis with a third-party software. 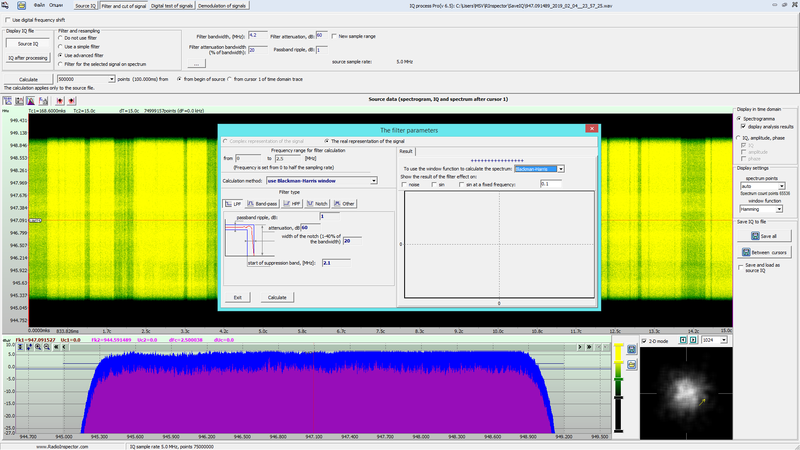 IQ_ProcessPRO saves IQs and demodulated files WAV in the international file standards. The bandwidth of the stored IQ is not restricted and frequency of the signal of interest might be selected in the program directly and even extracted as a separate file or being analyzed according to the operator needs. IQ_ProcessPRO supports analysis, post processing and demodulation AM, FM, Analog TV signals as well as digital communication standards like DMR, TETRA, APCO25 right down to voice demodulation if the signal is not encrypted. 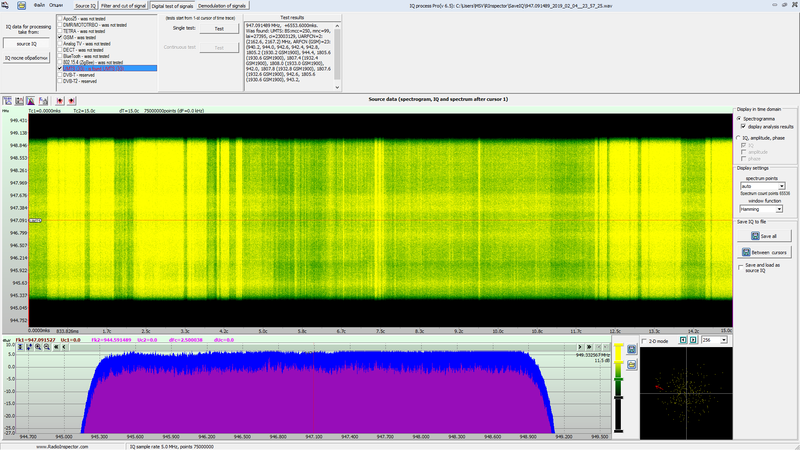 Moreover, IQ_ProcessPRO allows an operator to detect and analyze GSM and 3G base stations, extract information about DECT, Bluetooth and 802.15.4 sources. Get In Touch or Make Your Order! We recommend to use our contact forms and email, because our staff travels a lot and contact time often changes. In case you need to talk with us, just send us a request for callback and point your country and preferred local time to talk.